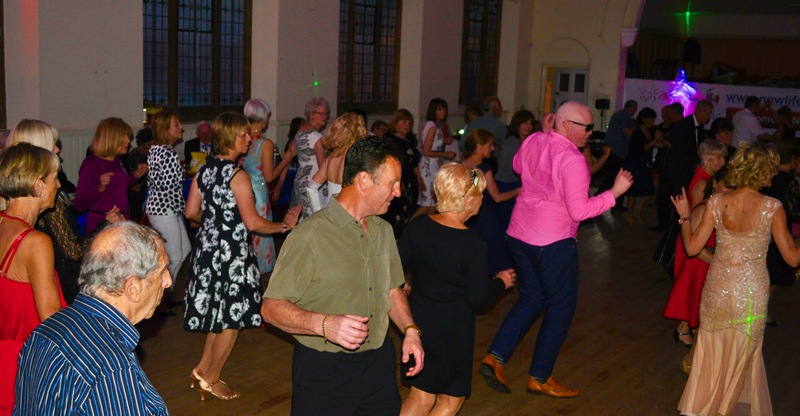 Our regular social dances are usually held on the second Saturday of each month: 7:30 PM till 10:30 PM at St Stephen’s Church Hall, Park Avenue, Bush Hill Park EN1 2BA. Great music and atmosphere, good floor and parking with guest live singing by Ronnie and Kate. An important part of our teaching is that it gives you the skills to feel confident dancing on a full size dance floor. We welcome all styles of dancing and play a variety of modern tracks with some traditional. The evening includes Chasamba (no partner needed) routines. We have a lovely friendly atmosphere with clear music, atmospheric lighting and good parking. We usually run a free short class at the beginning, teaching the basics of a single dance. We supply tea, coffee and squash but feel free to bring your own drinks and food. Please contact us to book a table to share with your friends.